Most everyone is at least somewhat familiar with the descriptions and order for worship as outlined for the Hebrews when they came out of Egypt. Everything was given down to the smallest detail concerning the building, the priests, the offerings, the order, priestly garments, etc. These are all specifically described in the books Exodus, Leviticus and Numbers in the Old Testament. There were even specific instructions concerning the packing and moving of the holy things for whenever it came time for the nation to relocate to a different area. Fortunately for us and many others of past generations, that sort of thing hasn’t happened again. There have been many times when God was not sought nor worshipped according to the prescribed order, but He has held His peace at least as far as immediate and swift judgement is concerned. Did the possibility of false, vain, or ineffective worship cease when Jesus died? These things “sound” right when first spoken, but are filled with the existential humanism that is destroying our churches today. Does God have a proper order for worship? Yes, but it is not within the proscribed limit of specific rules and regulations. In the first passage, Jesus is talking with the Samaritan woman at the well and she brings up the issue of “worship wars” for their day (not unlike what we are experiencing in our own time). The question then was about the proper location for true worship. She was stuck with what she had been taught, but knew that there were other viewpoints. Jesus answered her question in two parts: first, He told her she didn’t know what she was worshipping; secondly, He told her a change was coming in the “how” of worship. The “who” of worship has never changed, and Jesus (in a very un-Christlike manner by today’s standards) told her she was worshipping ignorantly. 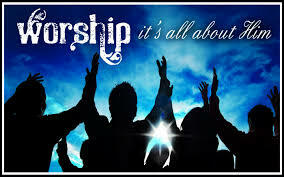 The question of today is about the “how” of worship. How big of a spectacle? Jesus, in His usual manner, went to the heart of the issue. The heart of the issue is the issue of the heart. That appears at first glance to be quite open-ended and broad. Thus we are left with a statement that begs an explanation, for which no immediate explanation is given. We will look into this next.